Please consider AWRSAY when making your gift on Colorado Gives Day. Choose the Red Rocks Community College Foundation and make the notation to direct your donation to Arvada-Wheat Ridge Service Ambassadors for Youth. 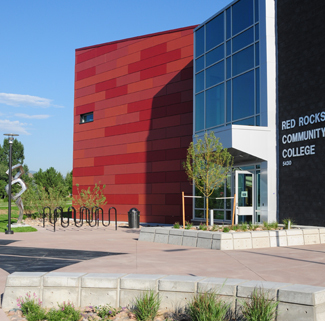 AWRSAY seeks to acknowledge these deserving youth by providing recognition to all and, in the case of high school seniors, scholarship opportunities to Red Rocks Community College. We hope that through community encouragement, support and recognition, Arvada and Wheat Ridge youth will grow to be confident members and leaders in our communities. AWRSAY is entirely volunteer-driven. We encourage you to become involved by nominating a deserving youth or supporting AWRSAY through funding, mentoring, or youth employment.